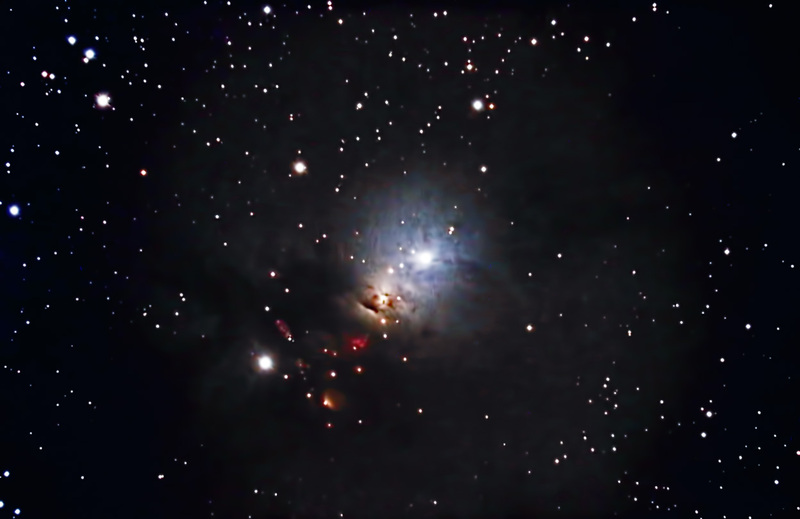 NGC 1333 is a reflection nebula that lies approximately 1000 light years away in the constellation of Perseus, residing in the Perseus Molecular Cloud. Although this object is classified as a reflection nebula, it is an active star-forming region. Most of the very young stars are still hidden from view by vast amouns of dust. NGC 1333 has been determined to contain several Herbig-Haro objects. These are narrow jets of gas emminating from newly formed stars. Images were focused using the camera's live view. They were calibrated, aligned, and combined in ImagesPlus. The final image was adjusted in Photoshop. Topaz Detail and DeNoise were applied. Taken from my backyard observatory in southeastern Minnesota on 12/3/15.